1. To automate and increase kiosk interactions per hour. 2. To bridge the gap between drivers waiting and the operators. 3. To minimize drivers’ frustration of waiting for help. 4. To identify areas in which the Kiosk can further grow. Below are the final versions of the external facing display that launched to the Greenlight Hubs in July 2018. 1. To establish kiosk as a platform to meet the needs of multiple business verticals. 2. Create a premium on-boarding and support experience for Uber's ecosystem of users. This project was in very early stages during the course of my internship, therefore most of our work was to create user flows and lo-fidelity wireframes for later conversion to hi-fidelity. 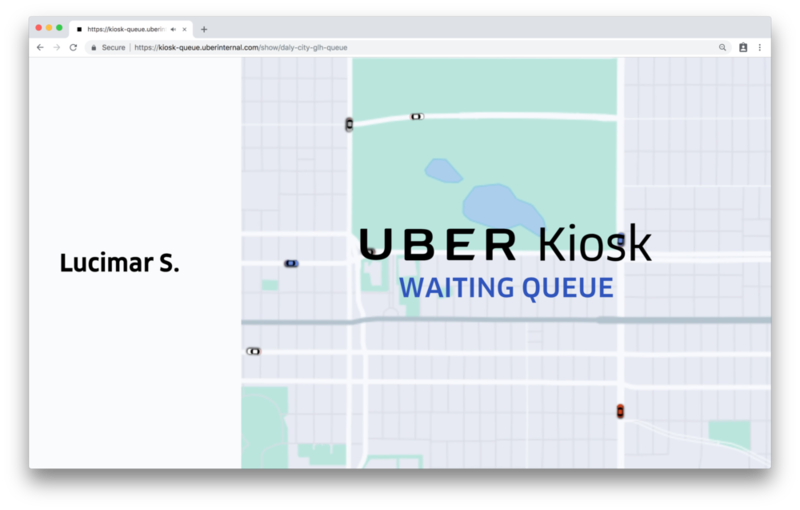 This part of the process was incredibly important to develop fully before further work, as the Kiosk’s components encompass many parts of the Uber ecosystem that needed to be accurately and easily conveyed to a variety user groups. 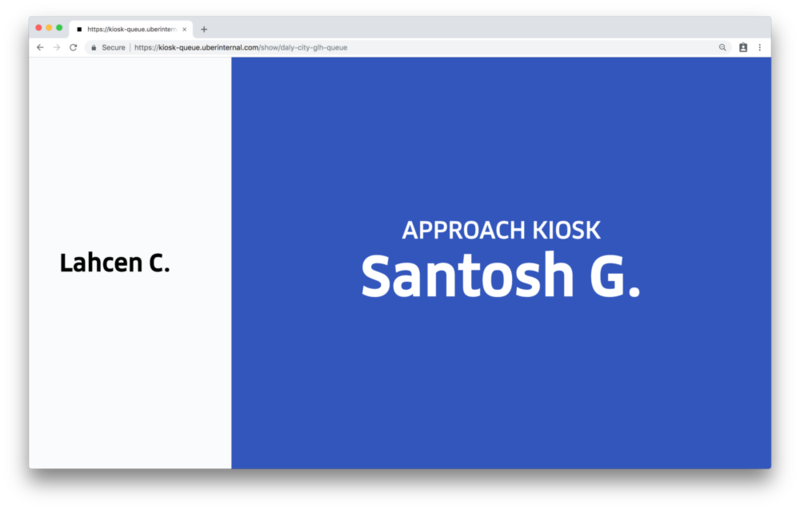 We ran design sprints and syncs with the multiple other teams involved to develop the deepest understanding of our users, thoroughly map the end-to-end experience, and hone in on the core purpose of the Kiosk. 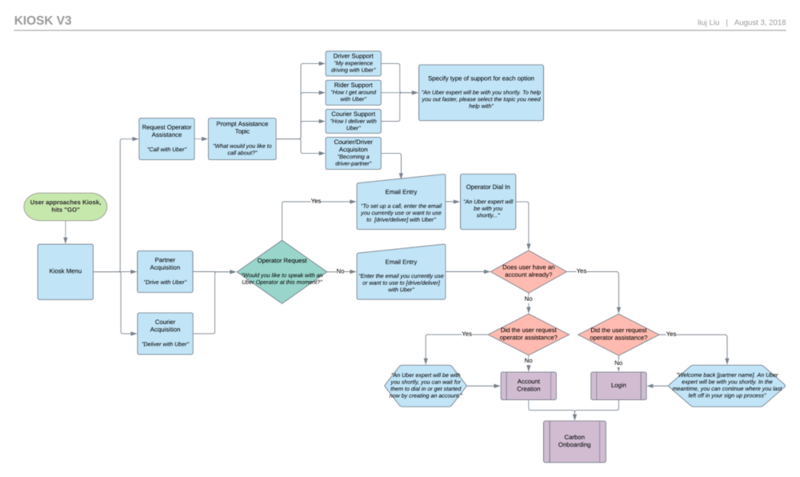 The user flow was constantly iterating and went through many changes throughout the design process, shown below is the current final version that I helped ideate. 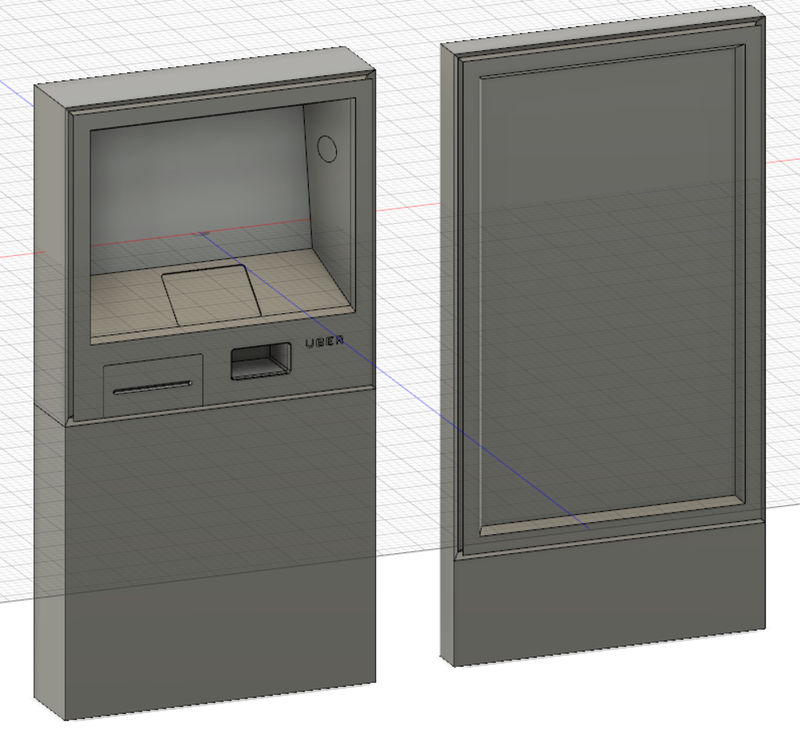 Side Project (below): I designed an interaction for UberKIOSK that would captivate people to walk up to the kiosk. In this scenario, motion was important to convey the sense of being drawn in. I used Uber's familiar atoms and bits to communicate the Uber brand.